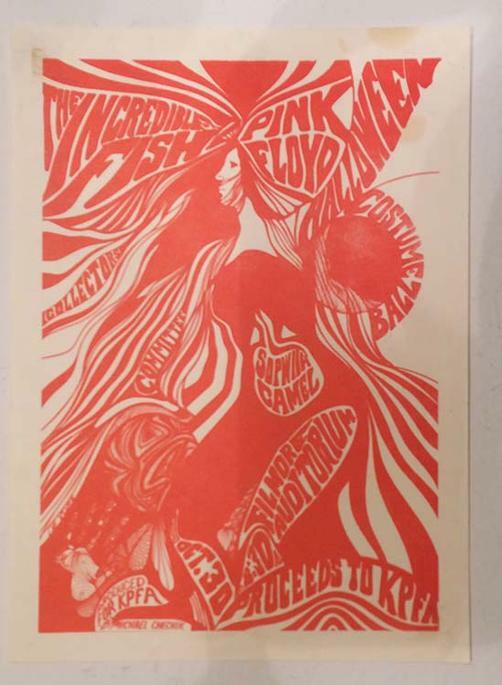 Original handbill for Berkeley radio station KPFA benefit featuring Pink Floyd and Sopwith Camel from 1967. 5.5 x 7.5 inches. Light handling marks, stains, and tape pulls on the back.